Few things are as comforting and delicious as roasted potatoes. There’s something about this dish that takes us to toasty afternoons in the comfort of our home, no matter when and where you’re eating them. 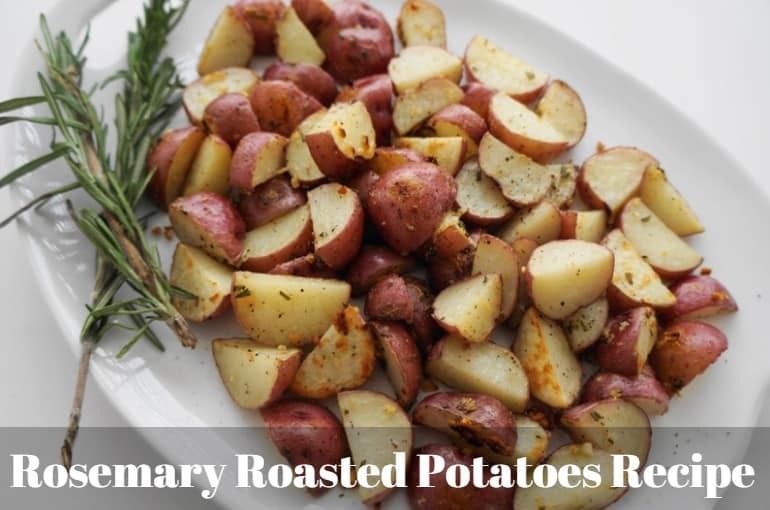 This Oven Roasted Rosemary Potatoes Recipe is Perfect for Any Diet! There are plenty of ways to make roasted potatoes but it’s rosemary roasted potatoes that make just about any dish feel familiar, even if it’s the first time we’ve had it. 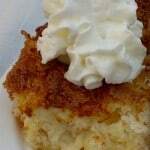 The best thing about this recipe, in addition to it being so easy to make? It goes with just about anything! 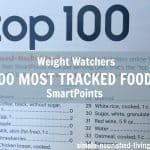 The key to keeping these roasted potatoes Weight Watchers friendly is going easy on the olive oil. Try serving these delicious potatoes with meat, chicken and even some kinds of fish. We promise your guests and family will love them. 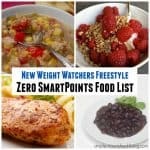 For those following Weight Watchers, according to my calculations each serving has *3 Freestyle Smart Points. 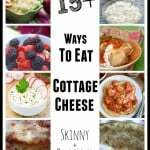 This recipe can easily be halved for fewer servings. Enjoy! If you’re looking for a new twist on the old rosemary potatoes recipe, why not add some lemon? 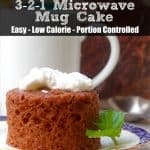 All you need to do to achieve this is to add the juice of 1 lemon to step 2 and toss everything so it’s properly mixed and follow the rest of the recipe. 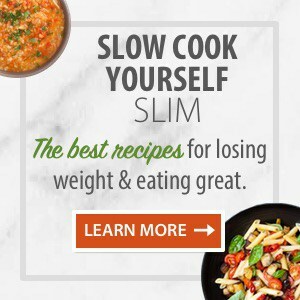 Please note: to adjust the servings for this recipe, click inside the servings box and simply enter the desired number of servings and the recipe ingredients will adjust accordingly. Or, you can use the up/down arrows in the servings box to make your adjustment. 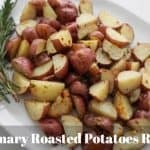 If you’ve made these roasted rosemary potatoes, please give the recipe a star rating below and leave a comment letting me know how you liked it. 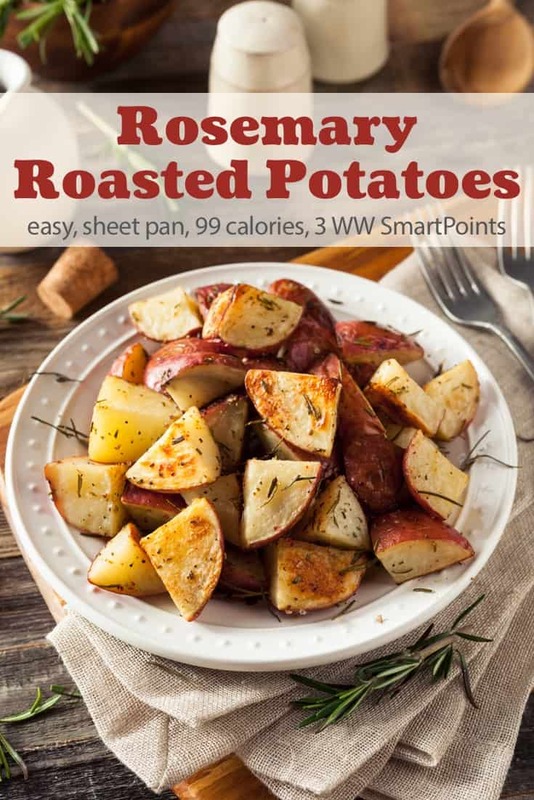 Simple & delicious, rosemary roasted potatoes make a perfect side dish for just about anything - just 3 Weight Watchers Freestyle SmartPoints! Line a large baking sheet with aluminum foil for easy clean up. Place your halved/quartered potatoes in a large bowl. Drizzle with the olive oil. Add the garlic, rosemary and salt and pepper to taste. Toss until their evenly coated with the oil and seasonings. Spread your potatoes on your prepared baking sheet in a single layer and roast them in the oven until fork tender. 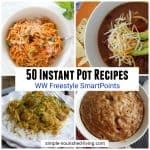 This should take 45 minutes to 1 hour, depending on the size of your potato pieces. From time to time, flip your potatoes with a spatula to make sure the potatoes are browning evenly. Once the potatoes are tender and golden brown, carefully take them out of the oven, and place on a platter or in a bowl. Garnish with rosemary sprigs if desired. If you're looking for a new twist on the old rosemary potatoes recipe, why not add some lemon? All you need to do to achieve this is to add the juice of 1 lemon to step 2 and toss everything so it's properly mixed, and follow the rest of the recipe.